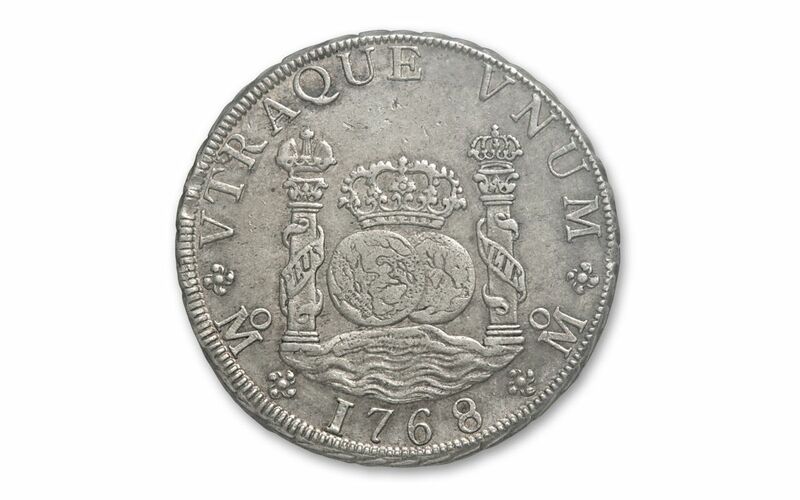 The Silver That Saw America’s Independence! 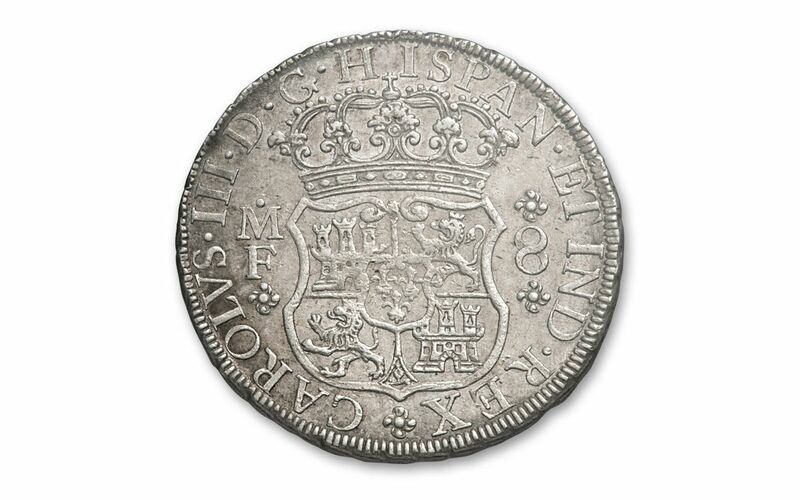 The Spanish 8 Reales coin is synonymous with United States independence and the colonial era. 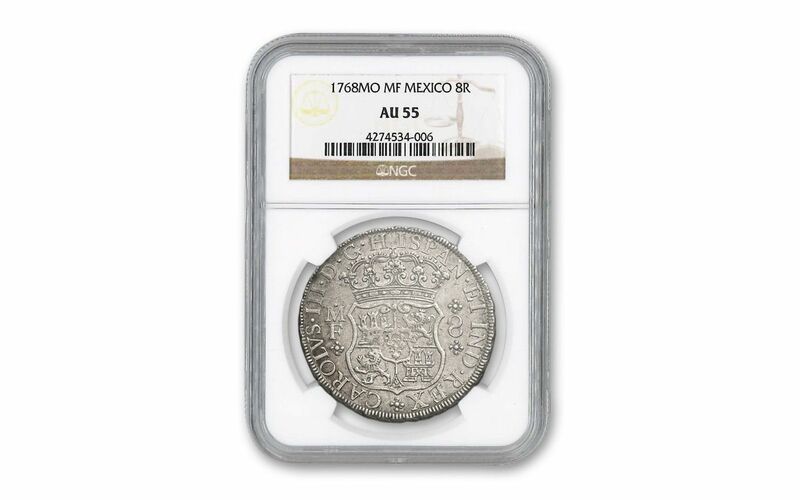 This important coin, also known as a Spanish Milled Dollar or a "Piece of Eight," was the basis for the U.S. Silver Dollar and one of the most popular circulating coins of the American colonies. And now you can add one to your collection! Owning a piece of pre-U.S. history is like having a private museum right in your own home. You can examine every fine detail, hold it in your hands (sealed within its protective holder, of course), and be taken back to the mid-1700s, a time when the Founding Fathers were preparing to rally their countrymen and fight for their independence. These very coins may have lined the pockets of those patriots who formed the first Continental Congress, participated in the Boston Tea Party and fought against the British for the right to form their own nation! 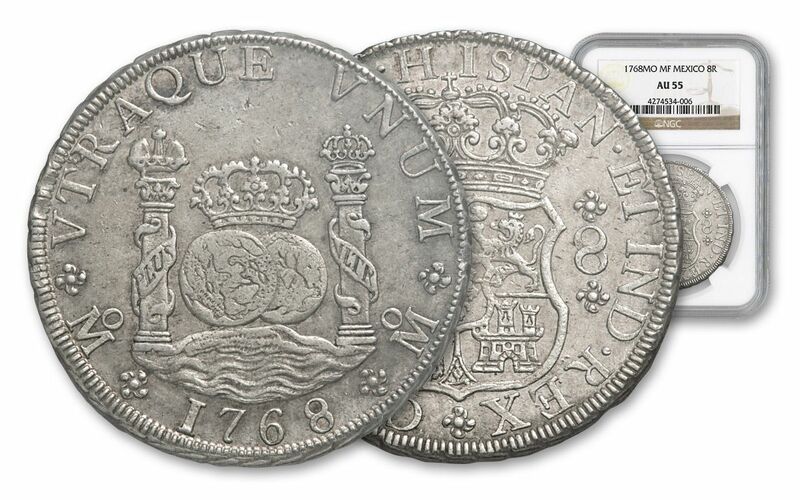 You'll receive a Spanish 8 Reales Pillar coin with a date between 1735 and 1771, certified About Uncirculated (AU) condition by Numismatic Guaranty Corporation (NGC) -- a magnificent feat for coins that were struck nearly 250 years ago! These coins were considered legal tender in the United States until 1857, meaning they not only witnessed our fight for independence, but the earliest years of our nation as well. Don’t miss out on this fantastic opportunity!